A rural Mountain Home man now faces charges in two criminal cases in Baxter County Circuit Court -- including allegations he removed jewelry and other property belonging to the victim of a fatal automobile accident in mid-October. 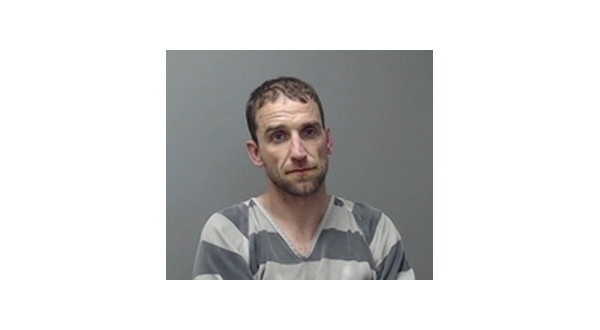 Thirty-three-year-old David Kyle Simmons, who lists an address along County Road 16 in court records, is charged with tampering with physical evidence and theft of property in connection with the October incident. According to the probable cause affidavit in the car crash case, the victim -- identified as Simmons' girlfriend -- was returning to her residence in Oakland from a gathering she attended in Yellville when she was killed in the accident. She allegedly told people at the gathering she was apprehensive about returning home because she had been having problems with Simmons. As she drove along Highway 178, she and Simmons, who was in another vehicle, were reported to have been talking and texting with one another. Simmons is reported to have gotten behind the victim's SUV in the vicinity of Bull Shoals Dam. At some point, the vehicle the girlfriend was driving left the roadway, struck a culvert, went airborne and overturned. The victim, who was ejected from the vehicle, was pronounced dead at the scene. According to court records, Simmons allegedly pulled up to the accident site, but instead of rendering aid or reporting the incident, he is accused of going to the wrecked vehicle and removing items belonging to the victim, including her purse and cellphone. He also is alleged to have taken items of jewelry the dead woman was wearing at the time of the accident. In the probable cause affidavit, law officers say Simmons took the SIM card from the victim's cellphone. The SIM card stores cellphone data, including contact lists and stored text messages. Investigators allege Simmons removed the card because he did not want to be connected with the fatal accident. Simmons is alleged to have left the scene with the victim's property. Investigators say a family member pressured Simmons to the point he returned the victim's purse and a ring she had been wearing at the time she was killed. In addition to charges stemming from the accident, Simmons faces drug-related charges in a separate case. The drug case was filed late last month as the result of a police search for Simmons on an outstanding warrant apparently issued in connection with the October car crash. When officers went to a residence in Lakeview, they found Simmons hiding in a closet. They reported locating drugs and drug paraphernalia both in the home and a vehicle Simmons had been driving. Simmons, who has been confined in the Baxter County Detention Center since Christmas Eve, is expected to be formally arraigned on the charges in both cases next week. His bond is set at $10,000, according to the jail log.